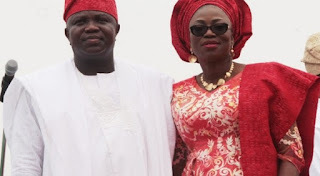 There is anger at the Chapel of Christ the Light, Alausa , Lagos State , after the Presiding Chaplain , Venerable Femi Taiwo , was sacked by the Governing Council allegedly on the order of the state Governor , Akinwunmi Ambode . The reporter gathered that Taiwo got the sack on Monday , May 15, without any query or official reason stated in the sack letter . He was said to have been ordered out of his official quarters where he lived with his wife and two children within 24 hours of receiving the letter . Despite pleadings from church leaders and other reputable elders in the church , the government was said to have insisted that the cleric must leave the church . Some church members reportedly contributed money to buy gas cooker , and other household items for the family as they vacated the vicarage. She was said to have later moved to be anointed and moments later, stormed out of the church , as some of the women leaders ran after her. Bolanle, who was reported to be visibly angry, allegedly shunned entreaties from the women, which included the wife of the presiding chaplain . The cleric got the sack letter the following day . A church member, who witnessed the drama and begged not to be identified, said, “The church had declared seven -day fasting after we lost two prominent members. Another member of the church said, “As she stepped out, it was obvious that she was angry. “The president of the women’s fellowship and the pastor’s wife ran after her. She shunned them, entered her car and zoomed off. “When we came to the church on Tuesday, we heard that Venerable Taiwo had been sacked. We were told that he was sacked because the the governor’s wife didn’t get the anointing oil first and she felt disrespected. “The man that signed the letter is also a civil servant,” the source said. Our correspondence learnt that Taiwo still had two years to spend as the presiding chaplain when he was fired. He said, “The children went to school on Thursday without knowing that they would not be staying in the vicarage that evening. Church members bought bed and other household items for them because they did not have their own property. Our correspondent reached out to leaders of the church, including Oyadotun, who refused to comment. He said, “Let me be straight with you, in the letter there was no reason for the sack. Whatever you are hearing are what members of the church believed could have happened. And there was indeed a protest by the church and the governing council assuaged them on the sacking. “There was nothing official in that sacking. When the reporter reached out to Taiwo, he said he did not want to comment. 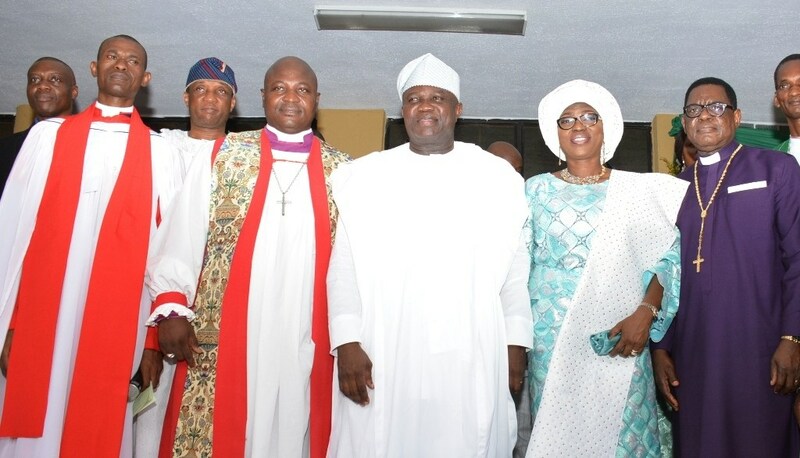 The state Commissioner for Information and Strategy, Steve Ayorinde, said, “The former chaplain had been queried a number of times in the past for conducts unbecoming of his office. The culmination of various indiscretions led to the Governing Council of the church issuing yet another query that led to his being relieved of his post. Credit: Samson Folarin for Punch metro.